Why YOU are a hacker's next target #infographic ~ Visualistan '+g+"
Hackers only hack really important people, right? Wrong. To a hacker everyone is really important. Hackers can do a lot more with your personal information than you think, including hacking into your company’s network. Once they are inside they can perpetrate espionage, theft, and any number of other malicious digital crimes. You are a hacker’s target even though you may not think you should be. Humans are the weakest link in information security. That’s why hackers like to target humans with phishing attempts and malicious links and ransomware. You aren’t a robot and if you get pelted with enough attacks eventually you will end up clicking on something you shouldn’t. Hackers know this and to them it’s just a waiting game. Small businesses are the worst about ignoring threats of hackers - 29% of small businesses that experienced a data breach did nothing to prevent another one afterward, even though half of all small businesses that experience a data breach go out of business within six months. 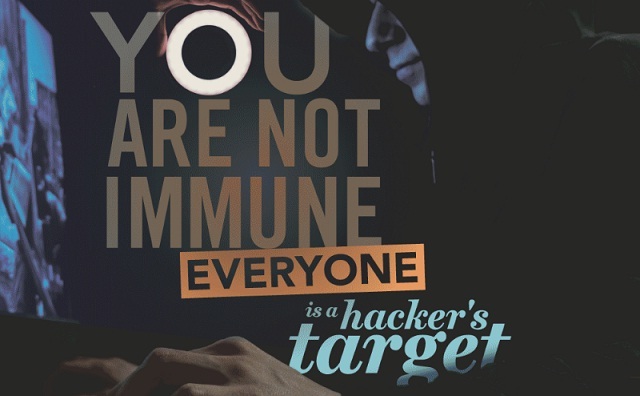 Learn more about why you are a hacker’s target from this infographic!